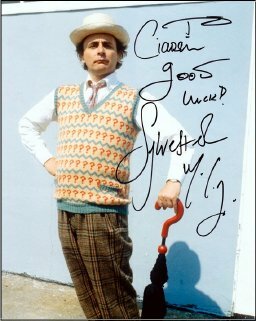 Sylvester McCoy plays the spoons! 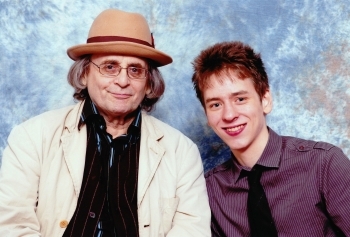 I met Sylvester McCoy when I attended the 10th Planet Doctor Who event at Cheshunt in March 2010. Sylvester kept us all entertained with a very funny talk, as he propelled himself round the hall in a 'buggy' ("I'm learning how to be a Dalek!") because he had just had a hip operation. He signed two photos for me. 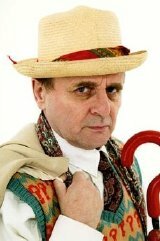 Sylvester McCoy, was born as Percy James Patrick Kent-Smith, at Dunoon, Scotland, in 1943. His father was a submarine officer in the Royal Navy but was killed during the second World War, just a month before Sylvester was born. He was brought up by his Irish mother in Dunoon, where he attended the local St Mun's School. In his youth, he trained for the priesthood, but gave this up and moved to London to work in the Insurance industry. Aged twenty seven, and wanting a change, he found work in the London Roundhouse Theatre's box office, where he was discovered by the comedy actor Ken Campbell. name, but realising that there were thirteen letters in 'Sylveste McCoy', and feeling that this might be unlucky, added an 'r' to the end of 'Sylveste'. 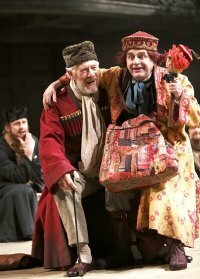 by William Shakespeare, at the Courtyard Theatre, Stratford-upon-Avon, with Sir Ian McKellan in the title role. 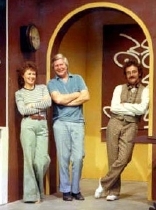 The play went on tour to Australia & New Zealand, before a West End run at the New London Theatre. 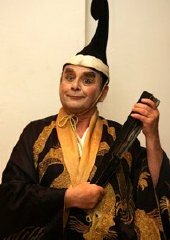 In 2008, McCoy played the title role in Gilbert & Sullivan's operetta The Mikado at the Sheffield Lyceum, and in 2009 he was Mr Mushnik in the Chocolate Factory's production of Little Shop of Horrors. Scott's last Antarctic expedition. 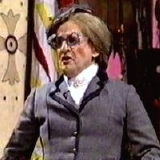 McCoy also played the butler, Crud, in Sky's UK production for children Ghoul Lashed (1995). life. The film was shown on the opening night of the Channel 5 TV network in the UK. 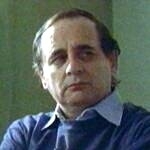 and Doctors (2008) in which he played an actor who was once the time-travelling hero of a children's TV series! looking for a new lead actor to replace Colin Baker in Doctor Who. 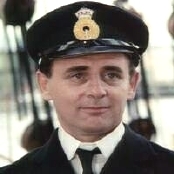 He won the part ahead of the likes of Rowan Atkinson, Alexei Sayle, Tony Robinson and his mentor, Ken Campbell, who were all considered for the role. 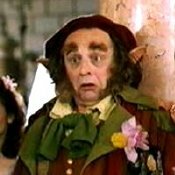 Airzone Solution (1993); Flynn in Leapin' Leprechauns (1995) and its sequel Spellbreaker: Secret of the Leprechauns (1996) and Mr Tallman in the comedy The Mumbo Jumbo (2000). 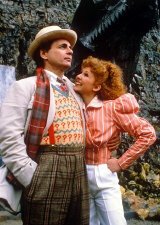 McCoy played the seventh incarnation of The Doctor from 1987 until 1989 when the series was shelved. He reprised the role in the 1996 TV movie. McCoy relaxes with his Dalek enemies! two regenerations. 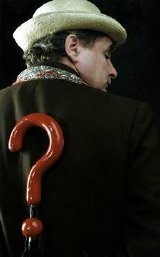 When Colin Baker left the role he refused to do the regeneration scene so Sylvester wore Colin Baker's costume and a curly wig, and stood in as Baker. much darker and less humorous for the later stories. He tries to do it somewhere in each of his roles. "I play the spoons in everything I can," he says, "and I’ve got them into King Lear! It’s in my contract, à la W. C. Fields. He used to insist on juggling in every film he made - even Great Expectations, but with me it’s the spoons." One of McCoy's many talents is playing the spoons. 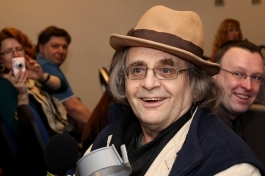 Sylvester McCoy is married with two sons, and lives in North London.